Stephen L. Carter is the William Nelson Cromwell Professor of Law at Yale University. Born in 1954 in Washington, D.C., Professor Carter was educated in the public schools of New York City, Washington, and Ithaca, New York. In 1976 he received his bachelor's degree with honors from Stanford University, where he majored in history, and in 1979 he received his law degree from the Yale Law School. Following his graduation from law school, Professor Carter served as law clerk to Judge Spottswood W. Robinson III of the United States Court of Appeals in Washington D.C., and, the next year, as law clerk to Justice Thurgood Marshall of the Supreme Court of the United States. After practicing law for a year, Professor Carter joined the Yale faculty in 1982. Three years later, he became one of the youngest members of the faculty ever voted tenure. His critically acclaimed books include The Culture of Disbelief and Reflections of an Affirmative Action Baby. 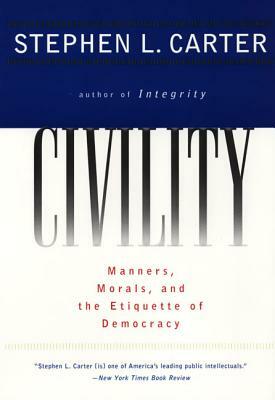 He is currently at work on Civility, the sequel to Integrity. Professor Carter lives with his family in Connecticut.